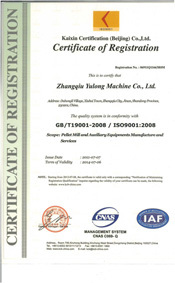 Zhangqiu Yulong Machine Co., Ltd is located in Zhangqiu - an ancinet city in Shandong Province, China. It lays in the east of Jinan city and the west of "china capital" Zibo ,near from Jinan-Qingdao Express Way. Traffic is convent and the culture is old-line. 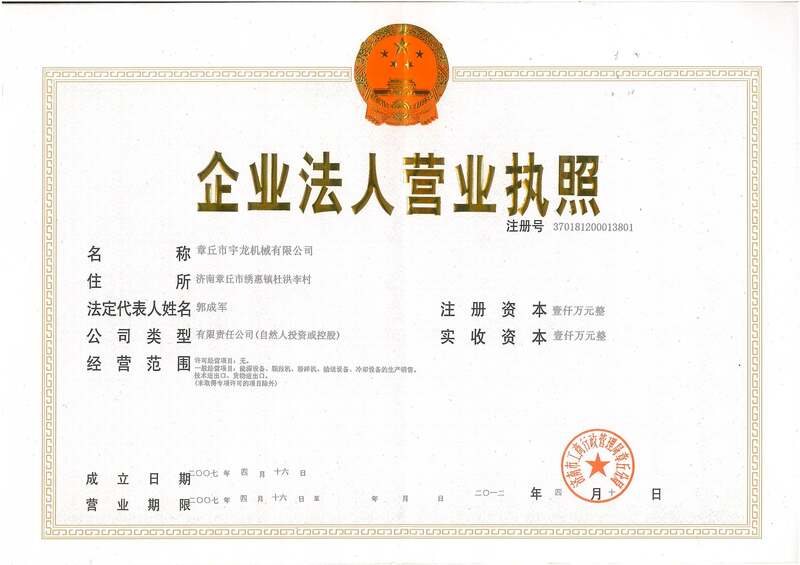 It is the important National Fertilizer equipment production base. Zhangqiu Yulong Machine Co., Ltd is a hi-tech organic fertilizer equipment manufacture that integrates scientific research,manufacturing,training and international business.Main products:flat die low temperature pellet mill,ring die pressing pellet mill,roller pellet press,disc rotary granulator four series pelleting equipment;crushing and grinding equipment two series;air flow dryer,rotary dryer,cooler two series and other screening,conveying products.They have passed the strict technical test by the related government offices and got good name in the customers.We adopted the Germany technology in 2003.With the support of the Chinese Environment Protection Association,Shandong Agricultural University and Shandong Agricultural Mechanization Research Institute,by the advanced technology and scientific management,we have developed the organic fertilizer and compound fertilizer equipment with reliable functions,reasonable design,energy saving and high efficiency low consumption. 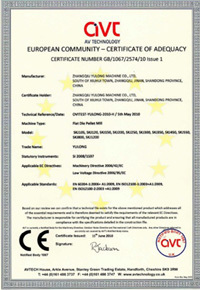 "YULONG" machines with good reputation are exported to lots of Southeast Asia countries,and set agents in Australia,Egypt,Poland,Bulgaria,Romania,South Africa,Vietnam,Malaysia,Lithuania and so on countries. 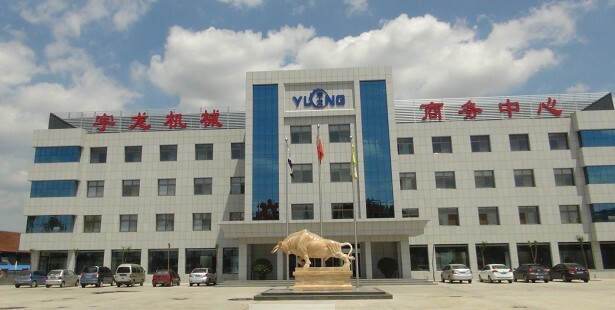 Yulong Machine Company is always providing the customers with the first-class service and high quality products,specially the high technology.With the idea of making contributions to the human being and repay our country,our company will creat a bright future together with the friends from all over the world.